In a somber year that has already seen the passing of fly fishing legend Lefty Kreh and bowhunting legend Mel Johnson, outdoors enthusiasts can unfortunately add another name that that sad list in 2018. That's because the Groves, Texas based Sure-Shot Game Calls company announced earlier today the news that company co-founder, duck call inventor, and 1959 world duck calling champion James "Cowboy" Fernandez passed away on Thursday evening, Aug. 16, 2018 in Beaumont, Texas after a bout with pneumonia. He was 86 years of age. Charlie Holder, the CEO and owner of the Sure-Shot Game Calls company told family, friends, duck hunters, and fans of the company via social media. "We mourn his loss and extend our sympathies to his family," indicated Holder in a company statement. "Cowboy worked with George Yentzen to design and patent the first double reed duck call in 1950 and the triple reed in 1968. Cowboy was the first Texan and first double reed contestant to win the Worlds Duck Calling Championship in Stuttgart, Arkansas in 1959 using the double reed Yentzen caller. "And others followed, winning World Championships with this Yentzen caller as well," Holder continued. "He was well known for his calling prowess and won numerous regional and international competitions." What was unusual was the call that Fernandez was using when he showed up in Stuttgart back in 1959. In a world that was dominated at the time by Arkansas' style single reed calls, Cowboy used a most unusual wooden contraption, a double-reed duck call known as the Yentzen. Birthed on a back-porch band saw in the 1940s by Fernandez and his partner George Yentzen, both of Nederland, Texas, at the time, the double-reed duck call design was tinkered with for the better part of a decade before the pair settled on a final design. Patented in 1950, the Yentzen's two riveted reeds stacked on top of each other allowed for a rich, ducky sound, one that was easier for the vast majority of weekend warriors to master. While the J-frame is a time honored design that dominates the contest stage and produces more volume, the call style is a bit more difficult to blow, for many hunters at least. After the death of Yentzen in the late 1950s â€“ and struggling to gain widespread acceptance for the uniquely-designed duck call â€“ Fernandez aimed for the top rung of the duck-calling world and decided to try and become the sport's world champion. What followed was a succession of calling contest victories in 1959, trophies that helped earn Fernandez an invite to Stuttgart for the granddaddy of them all. By the time the smoke had cleared from the Main Street calling stage on November 27, 1959, Cowboy, as the late Texan was known to most people, had shocked the duck hunting world by riding off into the sunset with the duck-calling world title. Using a double-reed duck call, no less, an instrument that would go on to gain wide acceptance and be utilized by countless duck callers around the country looking for a kinder and gentler baptism into the art of calling ducks into a spread of decoys. From the humble birth of making and selling a few dozen Yentzen double-reed calls a year to making â€“ and selling out of â€“ several hundred each year, Cowboy was soon a busy man making and selling calls to hunting shops around the land. Part of that was due to the call's unique design and ease of use, part of it was due to the natural salesman's persuasive nature and part of it was due to Cowboy's building prowess on the various duck calling circuits. In addition to his 1959 Duck Calling Championship trophy, the southeast Texas resident would also go on to win the International Duck Calling title three times, the Texas Open title a few times, a Gulf Coast championship and a variety of regional titles, all with the Sure-Shot Yentzen. What's more, others used the call with great success including Charles Stepan of Port Arthur, Texas, who captured the 1962 world championship in Stuttgart while using a Yentzen. Meanwhile, Billy Domingue would also use the call to capture a handful of Women's World Championship Duck Calling titles, also from the Stuttgart stage. All of this and more helped to propel Sure-Shot Game Calls and its unique Yentzen double-reed call towards the top of the heap in the duck call manufacturing market through the 1960s, the 1970s and on into the 1980s. 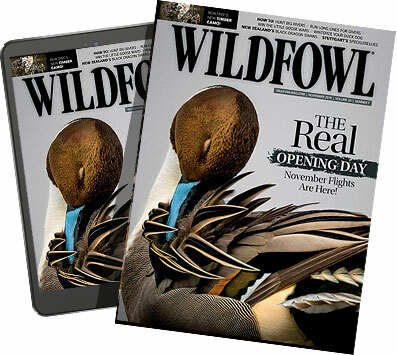 In fact, for years, a visit to a local hunting supply store â€“ or a turning of the pages in a fall hunting catalogue delivered by the postman â€“ would all bring a glimpse of the familiar yellow box containing the richly colored black walnut double reed (and eventually, even triple reed) calls. Thanks in part to his 1959 world duck calling title along with his duck call inventions, Fernandez was inducted into the Legends of the Outdoors Hall of Fame back in 2014. Holder, a southeast Texas native who partakes in the region's rich waterfowling heritage along with hunting forays into other duck and goose rich spots around the country, purchased the company from Fernandez a few years ago and started about the task of rebirthing the Sure-Shot Game Calls company. With the help of Fernandez, his grandson Curtis Arnold, and others who were integral to the success of the Yentzen double reed and triple reed duck calls, Holder has been remaking the company and giving it a stronger foothold in the competitive duck call market. In recent years, as the sweet sounds of the Yentzen calls tumble out of duck blinds again, the company has been selling out production runs of such calling staples as the space-age Yentzen One2, the Yentzen One, the Yentzen Classic Double Reed, and the Yentzen Classic Triple Reed. All of this is a fitting tribute, the resurgence of a legendary call making company founded by one of the sport's legendary figures. Even if that larger than life waterfowling figure is now gone. "There was only room in this world for one Cowboy Fernandez," stated Holder. "He will be sorely missed. "We greatly appreciate all of the support, messages, and well wishes from the friends and fans of Sure-Shot."